Synopsis: A CIA/DEA enforcer attempts to prevent an alliance between Mexican drug smugglers and Islamic extremists. 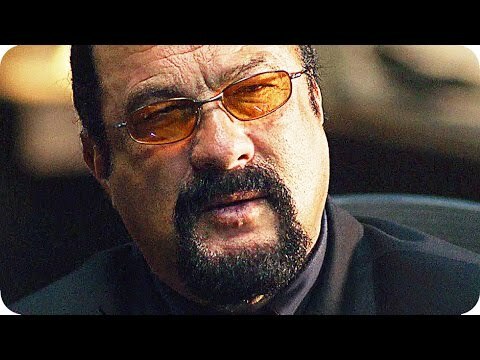 Squinting at the world from behind tinted spectacles, his immovable hair dyed industrial black, Seagal (Above the Law, Executive Decision) continues to pass himself off as an action hero even though his weight has long since precluded him from performing even the simplest of stunts. 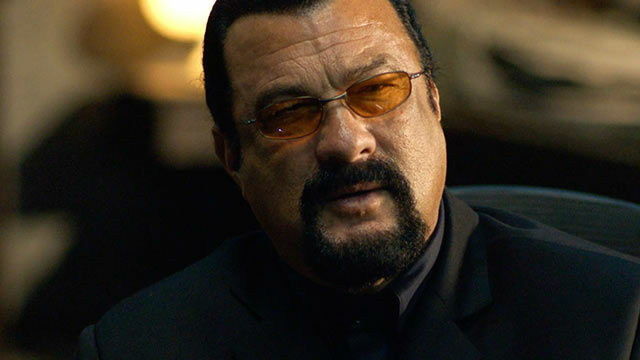 In fact, Seagal no longer has the physical dexterity – or inclination – to even move his feet when he fights. All those swarthy bad guys he batters without receiving one blow in return have to do to defeat him is stand beyond his reach and take a step back every time he lunges at them – after a few attempts he’d just come crashing to the ground in a sweaty, red-faced heap (and I write that in the complete confidence that Mr. Seagal is no doubt hundreds of miles away in some former communist state shooting the latest of his epics). He plays John Harmon, a reactivated CIA/DEA enforcer tasked with preventing the planned alliance between Islamic extremists and a Mexican drugs cartel who can provide the terrorists with a route into America. To help him, he recruits former associate Zara Hayek (Jemma Dallender) and drone-flying martial artist Matthew Sharp (Russell Wong) and heads to Istanbul to eavesdrop on a meeting between the two factions. From there, the plot goes around in circles, heading nowhere; every few minutes we’re treated to a half-hearted fight scene edited at a breakneck pace designed to disguise their dour and uninspired nature even when Seagal isn’t involved. He’s the same character he plays in all of his movies these days – a man who makes no mistakes and loses no fights. So why should we waste precious hours of our lives watching him do exactly the same thing he did in his last dozen movies?